Nourishing Perfect Repair Treatment Pack to deliver deep nutrition and repair and protect damaged hair ends. I recently redyed my hair and it became really drt so I hope this mask would help! This highly-concentrated Perfect Serum is to be used before or after blow drying to give your hair the silky, well-nourished finish. It's enriched with 7 different natural oils - argan, camelia, olive, jojoba, coconut, apricot, and manula - and its oil-like formula quickl absorb into the hair without making it sticky or greasy. I'm impressed with the ingredients list so I'll be using it soon! Abudant, crem-like foam bubbles penetrate deep into your pores, cleansing away any makeup residues, skin impurities, blackheads, and dead skin cells piled up and leaving your skin freshly cleaned, moist and brighter overall. 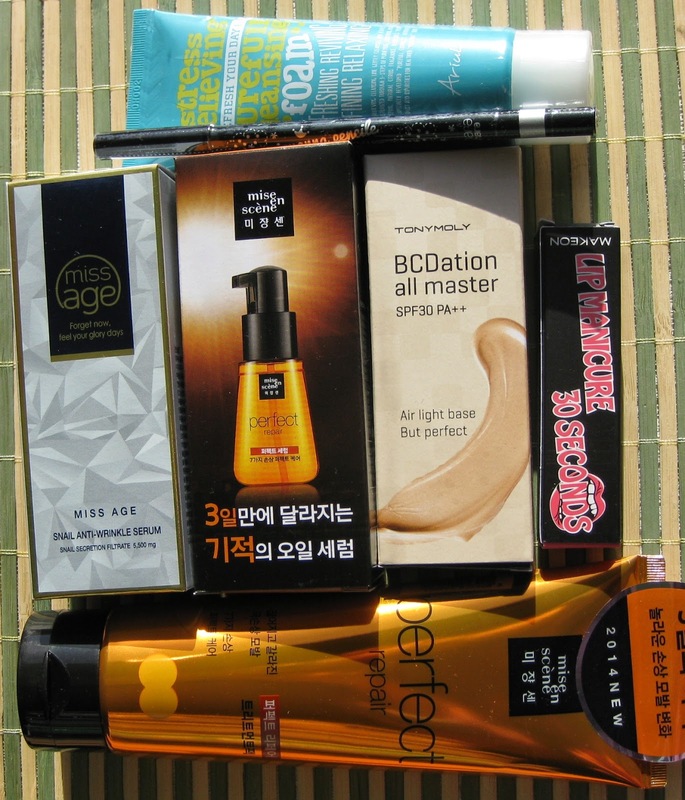 There are never too many BB creams!! Tonymoly's all-new BCDation is a combination of B cream, CC cream & Foundation. 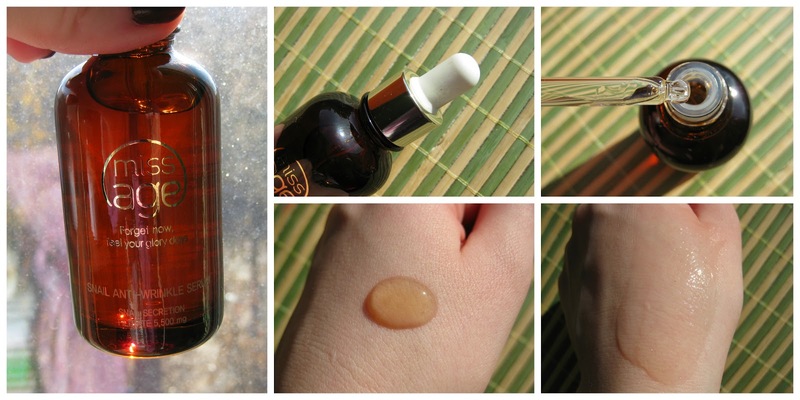 It offers natural-looking makeup, high coverage, moisturizing and light texture, whitening effect, anti-wrinkle care. WOW! I'm excited for this serum! Hope it would be great! 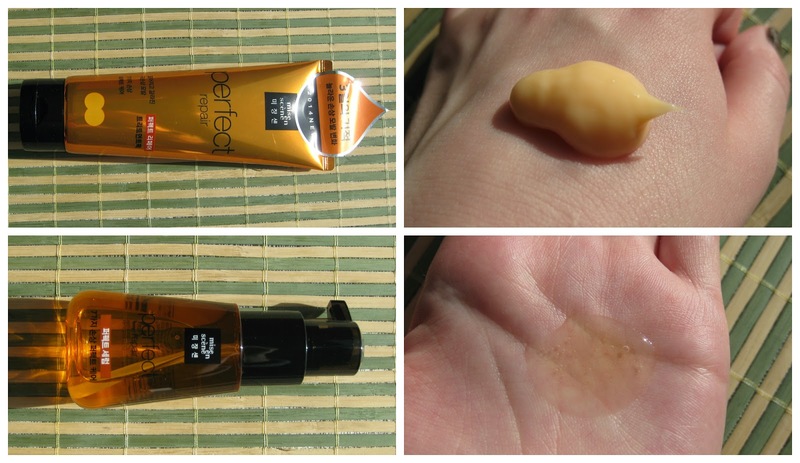 I like the packaging)) And I never tried any snail contaning skincare products - super excited to try this serum! 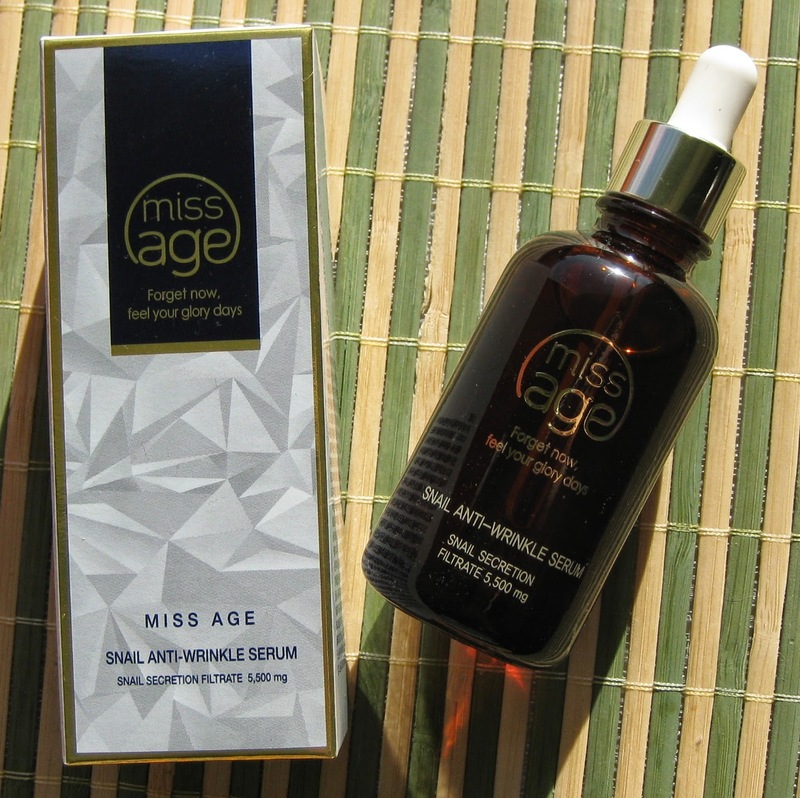 Containing over 5500mg of snail mucus extraxts, this Snail Anti Wrinkle Serum revives damaged skin with abundant moisture and nuitrition while treating signs of aging by tightening and lifting up sagging skin and improving skin elasticity. This is the only item I didn't like. I like Shara Shara brand but this pencil gel liner is deffinetely one of the worst items! It brakes easily and is hard to draw a line, which turn out to be too fine. Well.. the only good thibg - it doesn't smudge! Lip Manicure is very popular in Korea right now. 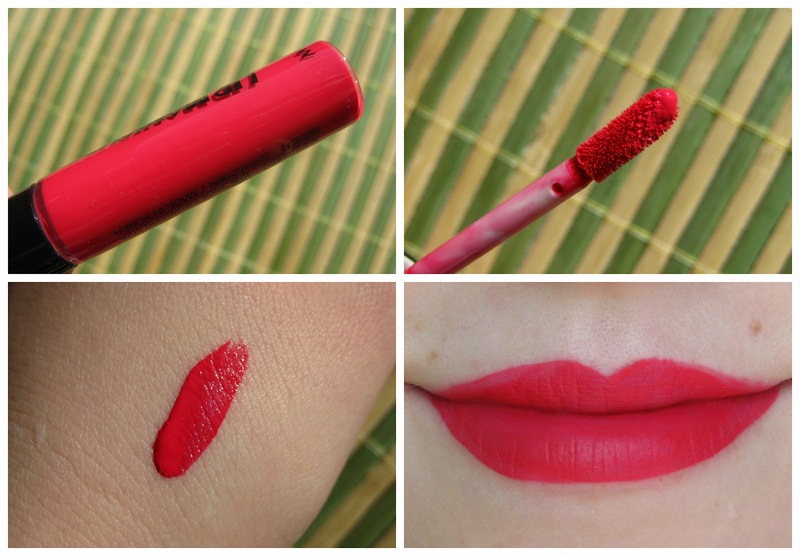 It's a tint that after 30 seconds becomes a matte lipstick that doesn't smudge at all. Unfortunately it dries up my lips. But it's very long-lasting. 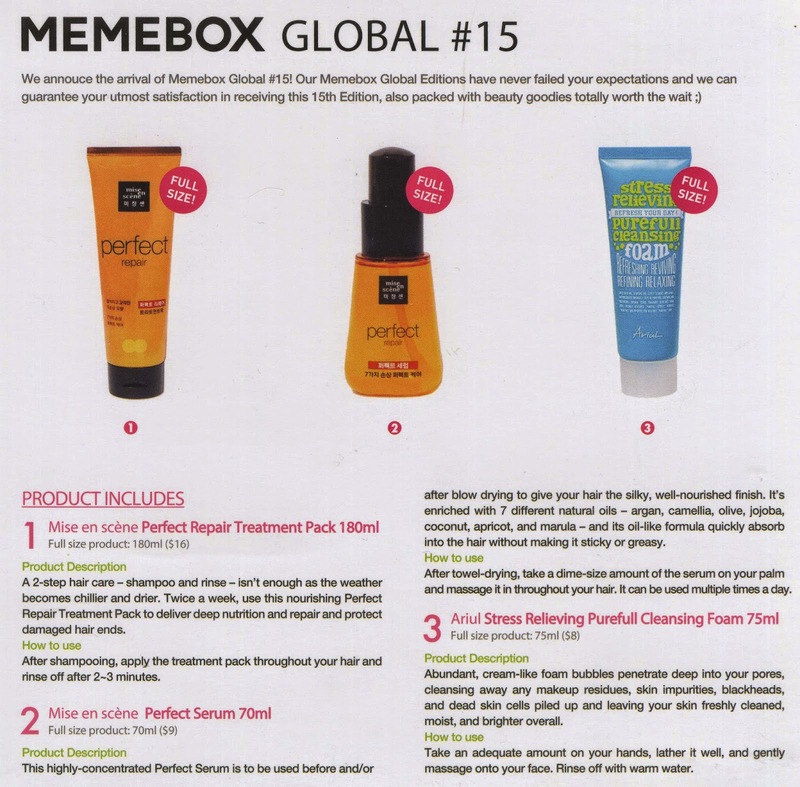 You can find #18 here us.memebox.com/memebox-global/18 . 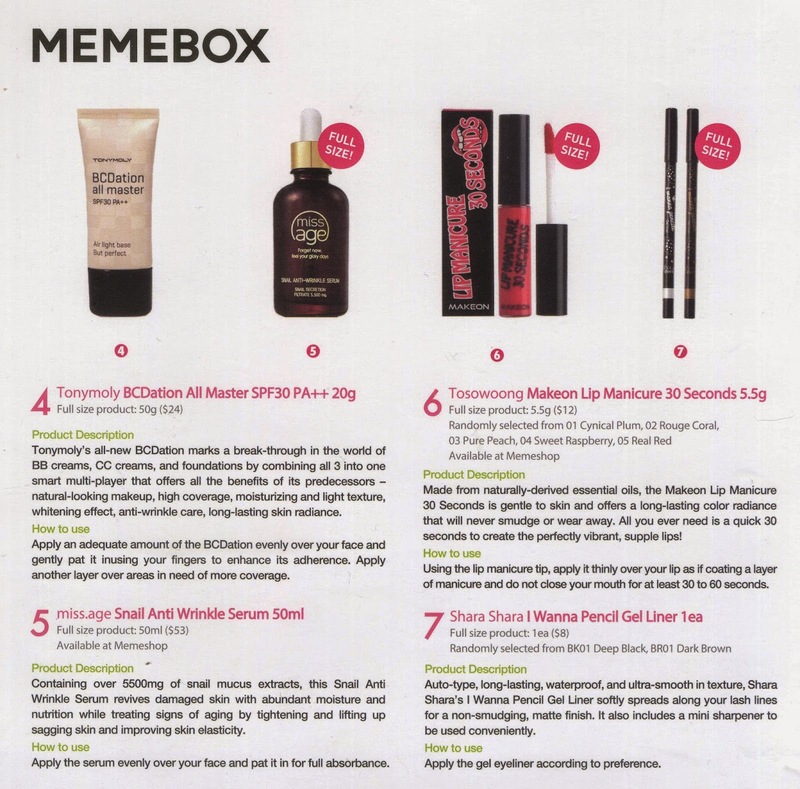 And Luckybox #11 is available. 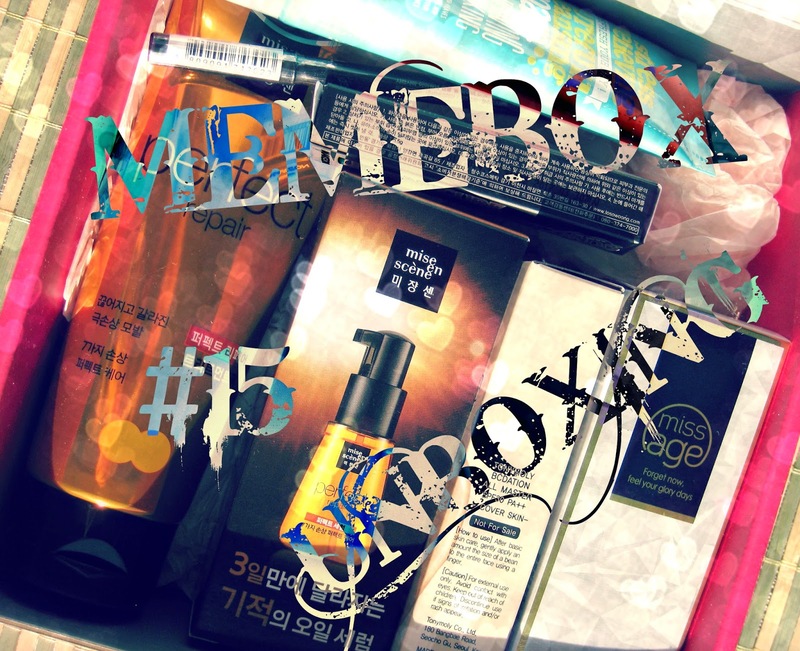 Luckyboxes contain products from previous numbered boxes.